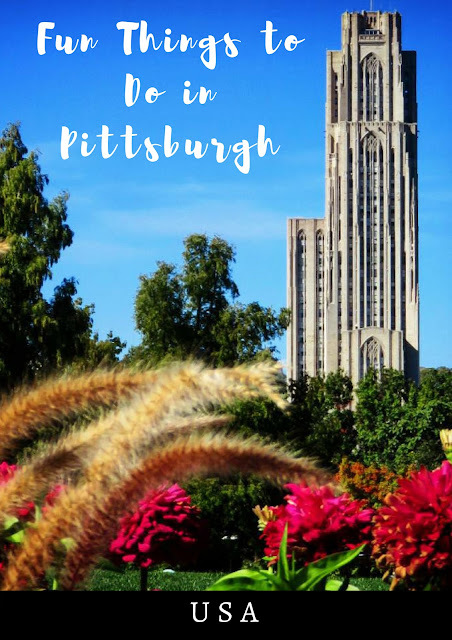 Are there fun things to do in Pittsburgh, Pennsylvania? I grew up in Buffalo, New York and before I visited, Pittsburgh was just another Rust Belt city stagnating after the heady steel boom (at the turn of the 20th century, Pittsburgh was producing about half the nation's steel). Admittedly, Pittsburgh was not high on my list of must-visit tourist destinations. I'm happy to report that after a business trip in early October 'forced' me to spend some time here, I have new found respect for the Steel City. 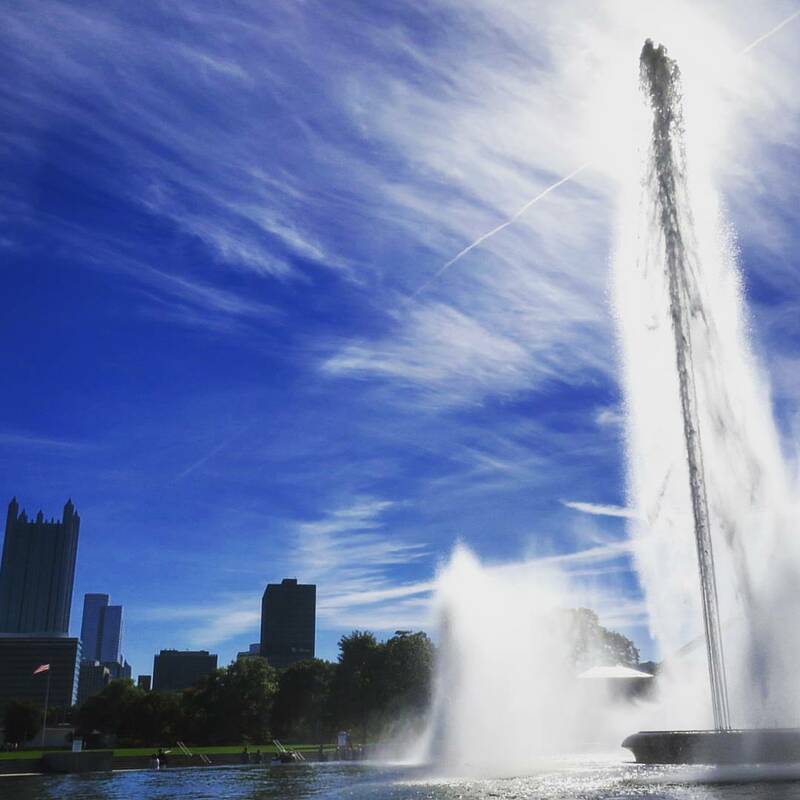 There are a ton of free things to do in Pittsburgh plus great places to eat. It turns out that Pittsburgh is a vibrant destination with great food, shops, architecture, parks, and more. Here are ten reasons not to underestimate the Power of Pittsburgh. The University of Pittsburgh is home to the second largest academic building in the world. I arrived in Pittsburgh on a Sunday and decided to take a stroll through the Pitt campus to help fight my jetlag. I was soon looking up at an Art Deco behemoth soaring about 40 stories above me. I wandered around, looking up and admiring the architecture from all sides. I came around to one of the side entrances and tentatively pulled on the door. It couldn't be open to the public, could it? The door gave way and in I went. The inside of the Cathedral of Learning (as the tower is affectionately called) looked like, well, a church. Vaulted ceilings, uncomfortable wooden benches, and ornate stained glass windows added atmosphere to the interior. I was even able to take the antique Art Deco elevator to the top floors and work my way down the staircase. Many of the offices were closed and locked but there were still some vantage points where I could look out and take in sweeping views of Pittsburgh. Just outside the Catedral of Learning, Fall Fest was in full swing at Pitt. 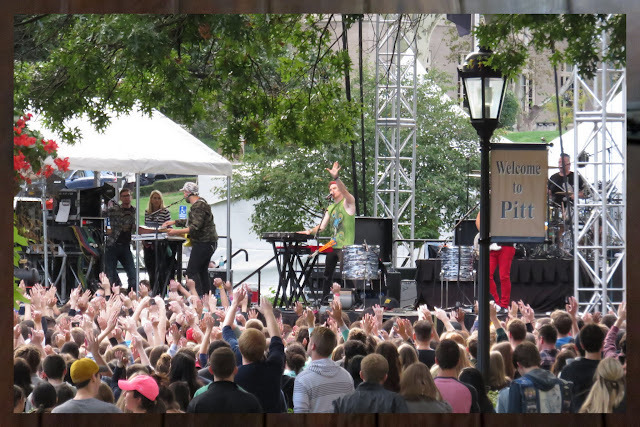 Walk the Moon had taken the stage and I stood for a while listening to their upbeat hits. I love a college town and Pittsburgh is certainly that at its core. Pittsburgh is surprisingly picturesque with a distinctive skyline and countless bridges spanning the three rivers that runs through the city. After dinner, the friends I was with drove me up the to the top of Mt. Washington to check out the twinkling lights of the city. As an alternative to driving, take Duquesne Incline or Monongahela Incline to the top for great views over Pittsburgh. SIDEWALK SAFARI SPOTLIGHT: Looking for great coffee in Pittsburgh? Check out the cafes in and around Bakery Square. 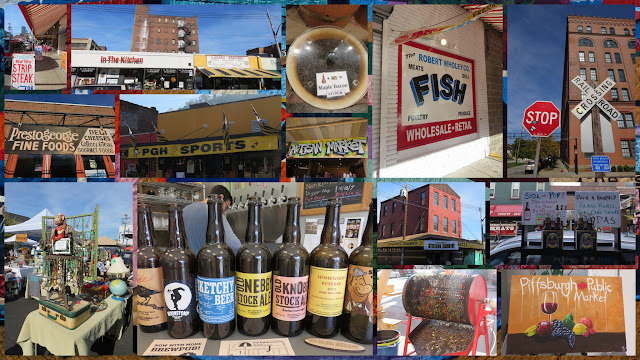 The Strip district in Pittsburgh has undergone a bit of a renaissance. Many of the old warehouses and factories have been converted into a variety of shops, restaurants, and bars. I had a stroll past the many outlets proudly selling Steelers, Pirates, and Penguins gear (the people of Pittsburgh love their sports teams! ), sampled flavored coffees at the Allegheny Coffee and Tea Exchange, explored the local flea market, and tasted craft beer from the East End Brewing Company in the Pittsburgh Public Market. This neighborhood has such a vibrant feel. I know where I'm coming next time I'm in town and need to do a bit of shopping. 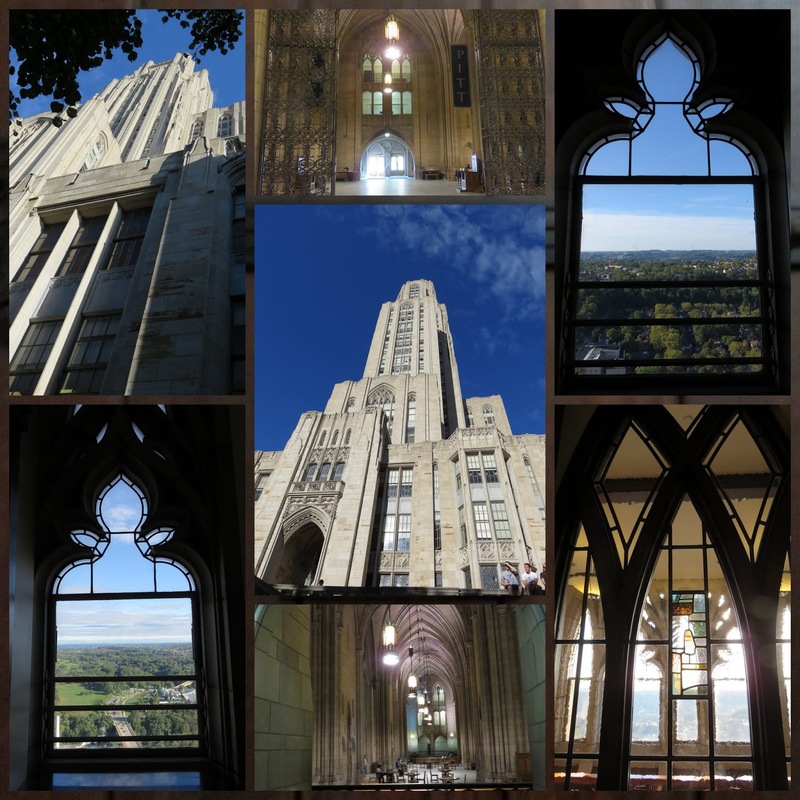 I visited Pittsburgh in early October but the sun was shining and temperatures were warm during my visit. It was like a fine summer's day and thus the perfect time for a Sunday stroll through Point State Park. I parked my car nearby in downtown and picked my way through the snarled overpasses and highways to get to the park. Fortunately, there are pedestrian access paths the whole way. 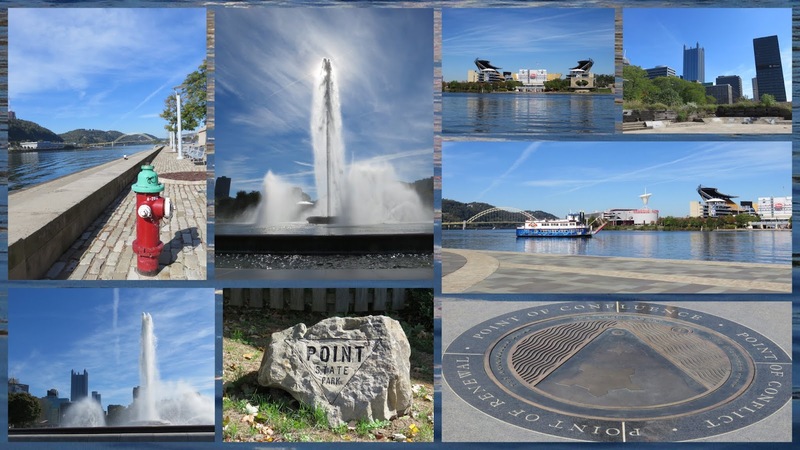 Point State Park is situated at the confluence of the Allegheny, Monongahela, and Ohio Rivers. I looked out over Three Rivers Stadium where the Steelers play and admired the geyser-like fountain at the very tip of the park. It was an idyllic scene. I set off from Point State Park to explore the Three Rivers Heritage Trail that runs along the Allegheny River. 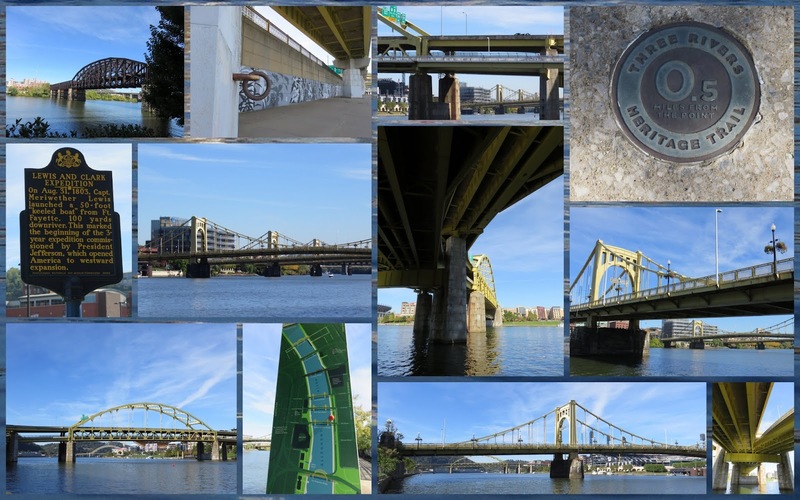 I really appreciated the opportunity to see all the iconic bridges of Pittsburgh up close. I wonder how much steel went into making all these bridges and how much steel was transported across during Pittsburgh's industrial heyday. The Phipps Conservatory and Botanical Gardens on the University of Pittsburgh campus provided a much needed respite from the intense sun and warmth of the day. 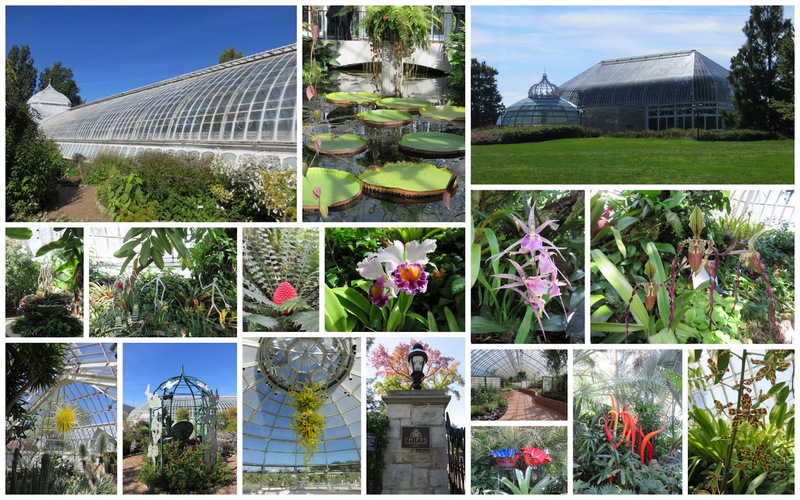 I cooled off with a tour through the greenhouses. The conservatory features a wide array of exotic flora. There was a Chihuly exhibit on when I visited so I found intricate glass creations peeking out at me along the way. This was just another fantastic spot in what turned out to be a really enjoyable visit to a city that is frankly underrated. I left thinking: Don't underestimate the power of Pittsburgh! The Mexican War Streets are a historic district on the central northside of Pittsburgh and an ideal spot for a Pittsburgh photowalk. The Mexican War Streets got their name because most of the neighborhood was built around 1848 during the Mexican-American war. The Victorian-era row homes give the Mexican War Streets a ton of character and offer some amazing photo-ops. The Mexican War Streets are home to Pittsburgh's Mattress Factory, an edgy modern art museum. One of the most fun things to do in Pittsburgh is visit the happiest place in the Mexican War Streets and perhaps the world: Randyland. Randy, a Pittsburgh institution, has decorated his home so that the building is riotously colored and covered in items of flair from top to bottom. We were welcomed to Randyland by Randy himself. 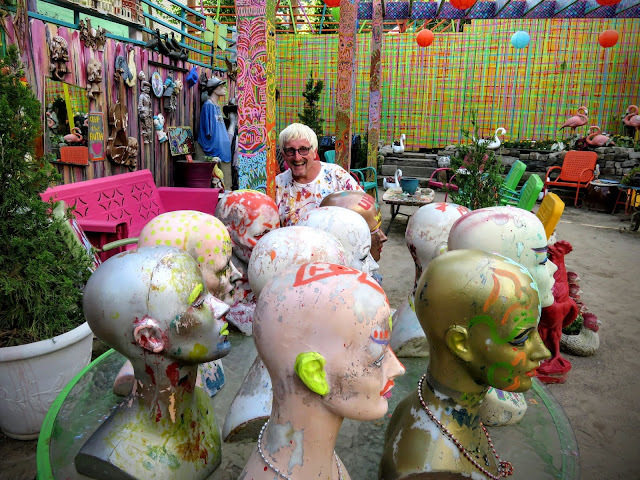 The self-proclaimed happiest man alive gave us a tour of Randyland while espousing on his life philosophy. Randy has personally collected and decorated all the items on the property. Randy's happiness is incredibly infectious; you'll leave Randyland and the Mexican War Streets happier than when you arrived. The National Aviary is the premier bird zoo in Pittsburgh and features exhibits with birds from around the world. The National Aviary is a great spot for birdwatching in Pittsburgh. Each room is dedicated to a particular climate and region of the world. The birds roam free within the limits of the exhibit. You can even see a bird that I like to think of as a national icon: The American condor. For a forested hike in the heart of Pittsburgh with a healthy dose of birdwatching, check out Schenley Park. 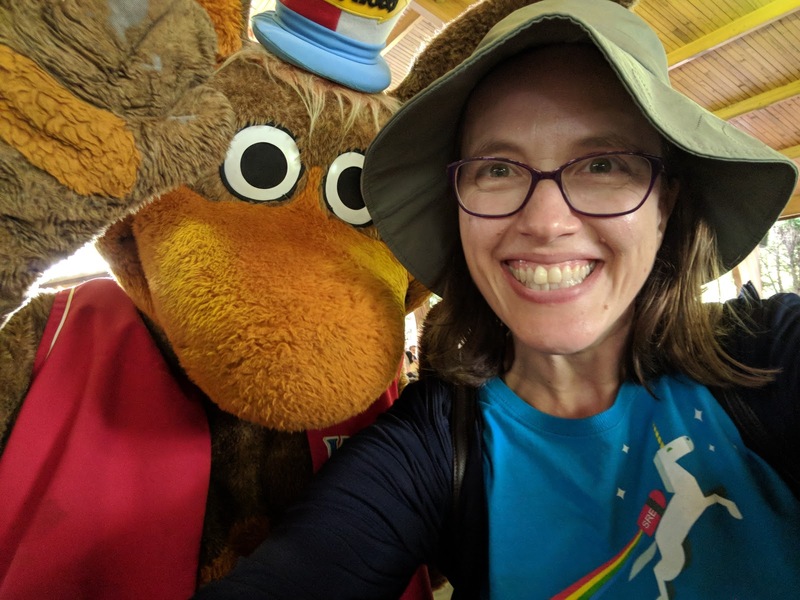 Kate St. John, the naturalist and blogger who writes Birds Outside my Window runs a free 2 hour walk on a Sunday morning (8:30 - 10:30 am) in Schenley Park once a month. Kraus Campo is a lovely spot on the Carnegie Mellon University campus and was commissioned by CMU alumni Jill Gansman Kraus and Peter Kraus. The art installation represents what you can do when you have a donor with deep pockets and an eclectic interest in art. 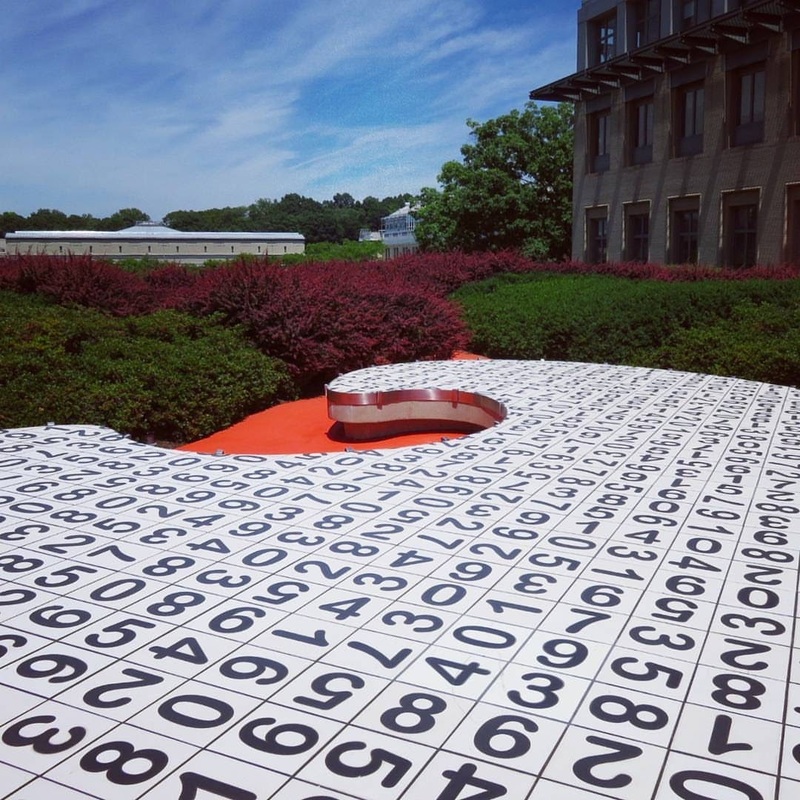 Integrating landscape and contemporary art from well-known Carnegie Mellon alumni, Kraus Campo is meant to highlight the interdisciplinary nature of CMU. Kraus Campo is a highlight of a self-guided walk of the CMU campus. Kennywood was built in 1898 and this historic amusement park is now on the National Register of Historic Places. Seek out Kenny the Kangaroo for a selfie (a kangarelfie?) or ride Kennywood's many roller coasters including old wooden bone-rattlers. Get sopping wet on the Pittsburgh Plunge. Just 20 minutes from the heart of Pittsburgh, Kennywood rivals Randyland for the title of happiest place in Pittsburgh. Pittsburgh seems to have a larger than expected number of escape rooms. I’ve been to a few different Pittsburgh escape rooms. I hear that there is even a scary escape room with a zombie chained to the wall and as time goes on the zombie is released little by little. If the escape room zombie touches you, you're out. Enter the Imaginarium is my favorite Pittsburgh escape room. Bring a group for an experience that reels you in from the moment you walk into the door. Solve the mystery of a washed up magician before time runs out. There are two different themed escape rooms at Enter the Imaginarium with a third under development. Tackling an escape room is one of the most fun things you can do in Pittsburgh. 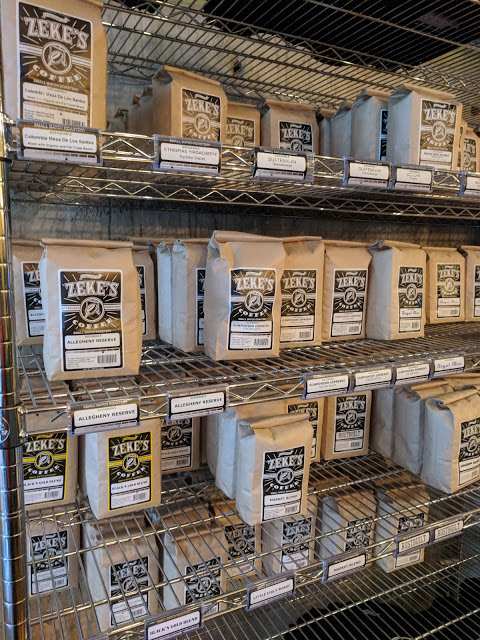 Bakery Square is a hub of the Pittsburgh coffee scene and features artisan Pittsburgh coffee roasters like Zeke’s, Coffeetree Roasters, Adda Coffee, and Commonplace Coffee within walking distance. 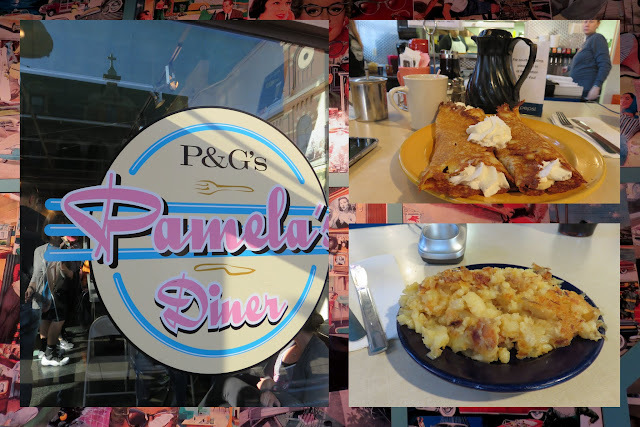 Pamela's Diner is a Pittsburgh institution and a few locations have popped up in the city. One of my friends suggested that I must go to the location in Shadyside (where I was staying) for breakfast and try their lyonnaise potatoes. Another friend had an even better suggestion...go to the location in The Strip district on Sunday morning and then explore the various markets lining this iconic revitalized neighborhood (it's an old warehouse district essentially). Good call. Thanks to my jetlag, I got to Pamela's pretty early and was able to score a seat at the counter while the line snaked out the door for a table. I tried the chocolate banana hot cakes and a side of lyonnaise potatoes. So filling and good! 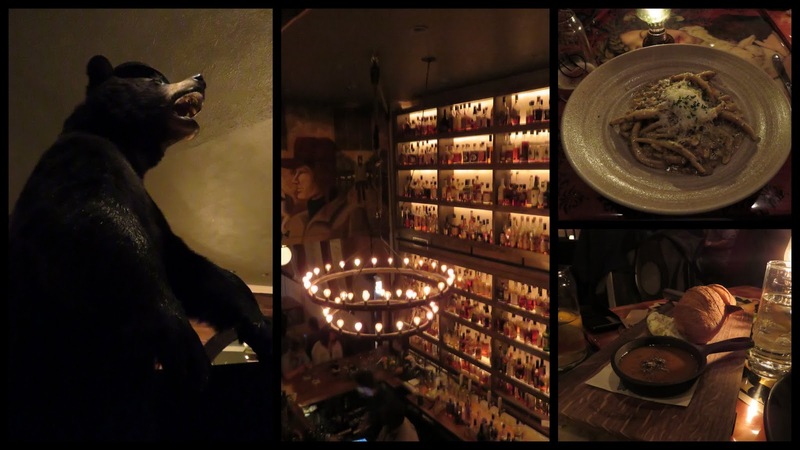 For a more refined experience, try Butcher and the Rye downtown. The food was well-prepared and there was a great cocktail and craft beer menu. I also got to sit next to a dancing bear. How often can you say that about a dining experience? I don't recommend going on a diet before a visit to Pittsburgh. 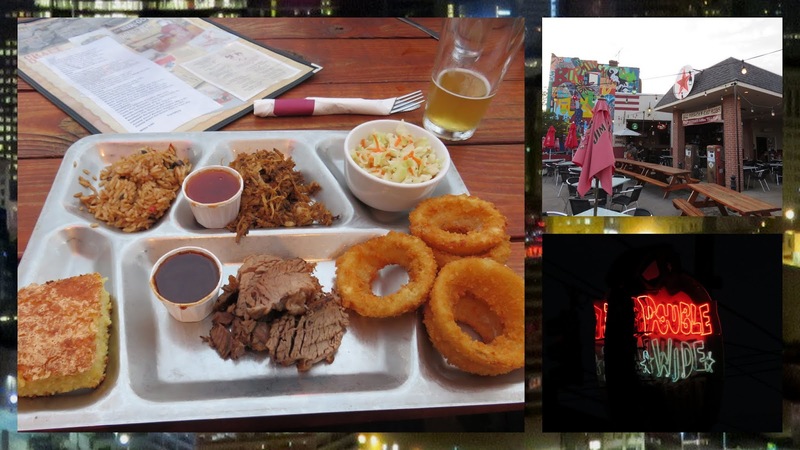 There is lots of great food in Pittsburgh and it's served in copious amounts. I went to dinner with some colleagues at Double Wide, a BBQ joint that set-up shop in an old gas station. I ordered one of the homemade TV dinners that came with two types of BBQ meat and sauce of my choice plus four sides. Roll me home! 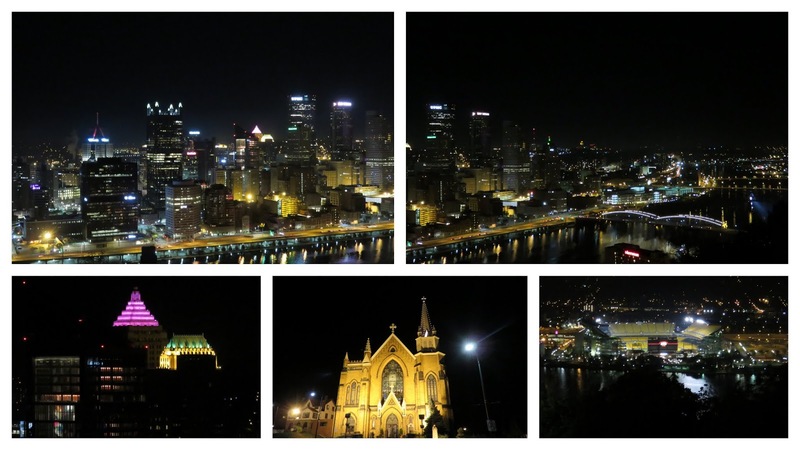 Do you have time to go further afield when visiting Pittsburgh? Why not consider a day trip to Frank Lloyd Wright's Falling Water. Check out this handy map of all the fun things to do in Pittsburgh below. Discover fun things to do in Pittsburgh Pennsylvania including free things to do in Pittsburgh. Explore where to eat in Pittsburgh.